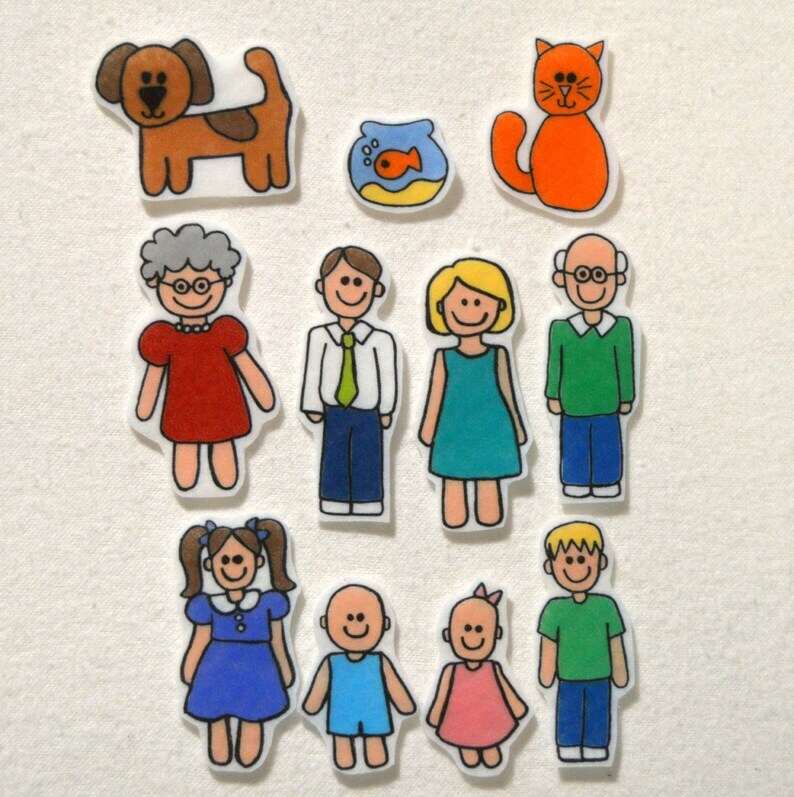 This adorable family felt piece set is perfect for your little one to come up with endless stories! Each piece varies in size, but in the regular set the adults are close to 3 inches and the babies are about 1.5 inches and in the extra large set the adults are close to 5 inches and the babies are almost 3 inches. The regular size set (about 2.5 inches) is perfect for small/medium felt boards. But if you are looking for larger pieces for a bigger board or large group, the extra large set is also available.These pieces are made of felt and will stick to felt or flannel. Ask me about creating a custom family for you!